+ Cheats: Yes, and they will not disable trophies. You’ll only need one playthrough to get the platinum in this game. This game is extremely easy and the vast majority of the trophies fall along the main story. The trophies fall into two types, story and collection. Most of the trophies come by playing through the main story. The collection trophies, like “Kill x Mobsters” you’ll get as you progress through the story. There’s no need to go out of your way to get most of them. The only one you’ll have to do differently is “Blackhand Brutality.” Once you get the 25 kills with your hands out of the way, it’s pretty easy from there. Start working on the execution styles as early as you can in the story. None of them are too difficult, as long as you follow the Execution’s Guide. You HAVE to do these before you finish the story. Executions only count if you do them on mobsters. Doing them on cops and pedestrians won’t count. If you finish the story without finishing them, you’re out of luck and you’ll have start a new game. Garrote: get the garrote wire weapon and strangle the person when equiped. Strangle: grab a goon and press R3 and L3 both at the same time until hes dead. They are the short black sticks with white handle things. Bottle: Take a bottle found in a compound or shop controlled by a rival gang, then trow the bottle to kill him. Press Triangle to pick up. This by far is the hardest execution in my opinion because of the aiming. I suggest killing a soldier when hes wounded and about to make a call for backup. Bat standing Press R3 with the bat equipped in front of a weakened goon. They are the long black things. The other collection trophies (like robbing banks, cracking safes, and collecting firearms) you can either do them during the story or after. Doing them after may be easier since you won’t have to worry the other families, but it’s not too much trouble to take care of all of them during the story. Edit: “Contract Killer” can also be missed as well. The easiest way is to do the kill condition on the four members of Carmine Rosato’s family. That way you only have to do one kill condition from the other four families to get the trophy. Act like a mobster, think like a Don. Unlock all other 41 trophies to get this. Create a mobster using MobFace. You can’t miss this trophy. You get this at the beginning of the game when you create your character. Another can’t miss trophy. This will also come towards the beginning of the game when you’re told to expand your family. Upgrade one of your made men’s skills or weapons. Upgrade the cheapest ability (Ready Weapon) of your first soldier for $500. Send your men to bomb a venue from the Don’s View. Pushing Start brings up the Don’s View. Move over to a business owned by another family. You’ll have the option to “Bomb” or “Send Men to Attack.” Select “Bomb” by pushing square and send a member of your family with the Demolitions specialty. Send you men to attack a venue using the Don’s View. Pushing Start brings up the Don’s View. Move over to a business owned by another family. You’ll have the option to “Bomb” or “Send Men to Attack.” Select “Send Men to Attack” and you’ll select which soldiers to send. Any member of your family can be sent. Max out all guards at a venue. Assign the maximum number of guards to a business that you take over. You can do this with the first business that you take over, even though you don’t have much money. Just set the number of guards to the maximum and edit out of the Don’s View. You can then go back in and edit the number of guards back down to save some money. Eliminate 5 made men with the appropriate kill condition. To do this, first you have to do a favor for someone. The people that you have to do the favor for have key icons above their heads. The favors range from burglaries (cracking a safe), sabotage (bashing up a shop), murder, bombing a business, and beating someone up. Once you complete the favor, the kill condition and location of the other family’s made man will appear in their family tree. An example of a kill condition is pushing him off of a building. You have to complete the kill condition or else that family member will not die. Promote one of your men to Capo. Another can’t miss trophy. After you have your third soldier, you’ll be told in a conversation to promote one of them to Capo. Promote one of your men to Underboss. Another can’t miss trophy. After you name your second Capo, you’ll be told in a conversation to promote one of them to Underboss. A can’t miss trophy. Taking control of your third of the nine crime rings gives you this. When you reach the end of the game, you’ll have all the crime rings under your control. See “Organized Crime” for more details. Another can’t miss trophy. Taking control of you fifth of the nine crime rings gives you this. When you reach the end of the game, you’ll have all the crime rings under your control. See “Organized Crime” for more details. Another can’t miss trophy. There are nine crime rings in total. When you reach the end of the game, you’ll have all the crime rings under your control. See “Organized Crime” for more details. Eliminate a rival family by successfully bombing their compound. This one you should get when bomb the complex of the first family you go up against. To unlock the compound, you have to take control of all the businesses owned by that family. Once you get into the family’s compound, follow the green X to the weak spot of the building. Have a soldier with the Demolitions skill set the bomb. You’ll be given about 20-30 seconds to get out of the building before the bomb goes off, so run like hell. Recruit a full family tree. You’ll get this one right after “Right Hand Man.” After promoting one of your men to Underboss, you can promote one of your soldier’s to Capo, and then recruit a new soldier to fill out the family tree. Another can’t miss trophy. All the businesses that aren’t in a crime ring are businesses that you can take over to launder money. There are a handful in each city and nine total. They’ll be marked by a cash register icon over them in the Don’s View. By the time you complete the game, you’ll have control over all the extortable businesses. Another can’t miss trophy. Certain businesses are linked together to form a crime ring. When you take over a business, you control a piece of the crime ring, but in order to get the bonus ability, you have to control all of the linked businesses. There are between two and four businesses per crime ring. Some of the crime rings are spread over two cities. The crime rings are drugs, gun running, adult entertainment, gambling, diamond smuggling, chop shops, prostitution, construction, and arms smuggling. Each crime ring has a different icon each business in the ring in the Don’s View. There are nine total. When you own these, you get a bonus like bulletproof vests, extra ammo, or cheaper guards.Taking control of all the crime rings over all three cities earns you this. There are nine crime rings in total. When you reach the end of the game, you’ll have all the crime rings under your control. Another can’t miss trophy. Each of the three areas has one safehouse. When you get to the third map, you’ll be given the final safehouse. Accept Tom Hagen as your Consigliere. Another can’t miss trophy. At a point in the story, Michael Corleone will tell you that Tom Hagen is going to join your family. Towards the end of the story, you’ll be told to go to Cuba and Henry Mitchell. A can’t miss trophy. The rival families are Carmine Rosato’s, Tony Rosato’s, the Manganos, the Grenados, and the Almeidas. Blow up any two of these five compounds to get this trophy. To eliminate a family, you first have to take control of all of their businesses. This unlocks their compound so you can attack it. Once you blow up their compound, the family is eliminated and the compound is put under your control. Another can’t miss trophy. The rival families are Carmine Rosato’s, Tony Rosato’s, the Manganos, the Grenados, and the Almeidas. Blow up any three of these five compounds to get this trophy. To eliminate a family, you first have to take control of all of their businesses. This unlocks their compound so you can attack it. Once you blow up their compound, the family is eliminated and the compound is put under your control. Still yet another can’t miss trophy. The rival families are Carmine Rosato’s, Tony Rosato’s, the Manganos, the Grenados, and the Almeidas. Blow up any four of these five compounds to get this trophy. To eliminate a family, you first have to take control of all of their businesses. This unlocks their compound so you can attack it. Once you blow up their compound, the family is eliminated and the compound is put under your control. Eliminate all five rival families. Another can’t miss trophy. The rival families are Carmine Rosato’s, Tony Rosato’s, the Manganos, the Grenados, and the Almeidas. Blow up all five of these compounds to get this trophy. To eliminate a family, you first have to take control of all of their businesses. This unlocks their compound so you can attack it. Once you blow up their compound, the family is eliminated and the compound is put under your control. Another can’t miss trophy. This will be the last story trophy that you get. Once you eliminate all five families, you’re called to Florida to meet with Michael Corleone. Once you get there, he gives you the mission to go to the airport and kill Hyman Roth. Break into any of the safes in the game. Every business has a safe somewhere inside (a couple have two in them). All four of the banks, the Federal Building in New York also have safes, the airport in Florida, and each family’s compound also have safes. You have to bring a made man with the Safecracking skill with you to be able to break into them. These you can go back after completing the game and break into. You’ll have all the businesses by then and won’t have to worry another family shooting at you. Find a Level 2 firearm upgrade. The Level 2 guns are scattered throughout each of the three cities. There are five types of guns (pistols, magnums, shotguns, machine guns, and sniper rifles) and there is only Level 2 upgrade for each type and it is always in the same location. See “Welcome to the Gun Show” for more details. Find a Level 3 firearm upgrade. The Level 3 guns are scattered throughout each of the three cities. There are five types of guns (pistols, magnums, shotguns, machine guns, and sniper rifles) and there is only Level 3 upgrade for each type and it is always in the same location. See “Welcome to the Gun Show” for more details. There are four banks in the game, one in New York, two in Florida, and one in Cuba. Make sure that you have a made man with the Safecracker skill with you or will not be able to break open the safe or get into the vault. The easy way in is to bring a made man with the Demolition skill with you. On one of the sides of the bank, there will be a well with a dynamite icon next to it. You can set a bomb there and blow a hole in the building, right into the vault. Once you’re in, take the money, crack the safe, and get back to the safehouse as fast as you can. Kill 25 mobsters only using Blackhand attacks. Kill 25 mobsters using only your fists. Why they couldn’t say that, I have no idea. 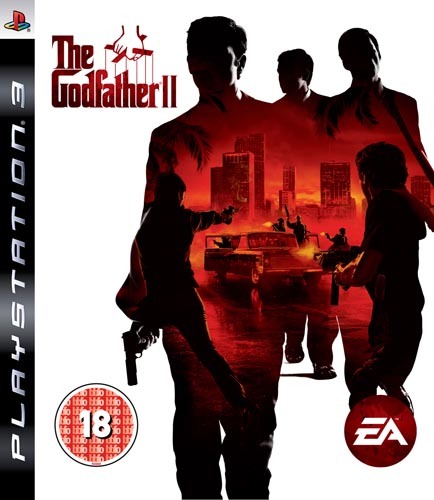 But use L1 (left punch) and R1 (right punch) to beat down 25 mobsters and the trophy is yours (using L1 & R1 at the same time grabs them, by the way). Kill 25 mobsters any way you see fit. Shoot them. Run them over with a car. Push them off a building. Throw some dynamite at them. Or you can you can use your fists for the first 25 and get the “Blackhand Brutality” trophy at the same time. Kill 100 mobsters by any means you want to use. Kill 150 mobsters only using firearms. Kill 150 mobsters using either a pistol, a magnum, a shotgun, a machine gun, or a sniper rifle. Kill 250 mobsters any way you would like. Kill 500 mobsters however you want. Kill 750 mobsters with any kind weapon. You’ll get to 750 kills long before you finish the story. There are four banks in the game. Rob each one once and you’ll get this. Use the method outlined in “Bank Job” and you should have no trouble with this. Earn one of each type of favor. In each of the three cities, there are corrupt officials that you can do favors for. Doing these favors will return you a favor that you can use anytime you want. The favors you have to do are the same as the kill condition ones (busting up a store, beating someone up, breaking into a safe, bomb a business, or murder). The favors that you get are get your men out of the hospital quicker, rebuild a bombed business quicker, call in a raid on another family, call off a police pursuit, free men from jail, and in one unique case, lower a bridge. There are 12 corrupt officials in all, three in New York, six in Florida, and three in Cuba. Collect all Level 2 and Level 3 firearm upgrades. Level 2 – Silenced Pistol: Florida, found during a mission when you need to rescue one of Roth’s soldiers. Level 3 – Delta M1911: Florida, Mangano’s Compound on the second floor. Level 2 – .44 Magnum Force: New York, Carmine Rosato’s Compound on the second floor. Level 3 – .501 Magnum Enforcer: Cuba, outside of the lighthouse that is next to the Battaglia Quarry Chop Shop. Level 2 – Sawed-off: New York, Corleone’s Compound, left of the main gate behind some bushes. Burn the bushes with an Arsonist. Level 3 – Schofield Semi-Auto: Florida, Global Storage Chop Shop. Level 2 – MP38: Florida, Granados Compound, second floor. Level 3 – Modified AK-47: Cuba, Battaglia Masonry, take the ladder in the office (on the left side, behind the desk, from where you enter the room) and go down into the tunnel. You’ll find it at the end of the tunnel. Level 2- Spitzer Centerfire : Florida, Emilio’s packing company on the roof near the head of the racket. You’ll need an engineer to cut the fence. Level 3 – Vintovka SR-98: Cuba, Almeida Compound on the second floor. Each business (plus the New York Federal building, each bank, and the Florida airport) and compound (except for the Corleone compound) has a safe somewhere inside. You’ll need to have a Safecracker with you to be able to break into them. You can do these after the story is completed, and you won’t have any interference from the other families while you’re trying to break into them. This trophy has to be completed before you eliminate the last family or else you can’t unlock it and you will have to start a new game. You have to do these on mobsters. They won’t count as completed if you do them on members of your own family, civilians, and police officers.